Are you in search of meaningful work? Would you like to feel a sense of fulfilment at the end of each day, knowing that you’ve made a difference? I’ve found that being clear about this intention has led me to the most amazing careers in my life and given me incredible job satisfaction. When I sold Nutritional Supplements, I saw customers overcoming health challenges, becoming radiantly healthy, happy and well. And now, as Business Development Consultant for The Kids Gym and Public Officer for the Non-Profit, Physical Literacy for Children, I’m able to see children’s lives impacted by our fabulous program. There’s no doubt that when you’re involved in something that gives back to the community, something that helps or heals the world in some way, you feel more connected and more fulfilled. Being in contribution reminds you that you matter, it’s your chance to leave a legacy, it’s your chance to make an impact on the world around you. It gives your life meaning and purpose. Have a look at the fulfilling careers detailed in the contributed post below. Finding the right career can be a genuine challenge. After all, not only is the modern job market more competitive now than it has ever been before but there are also all of the difficult and complicated things that have always come with looking for a job. 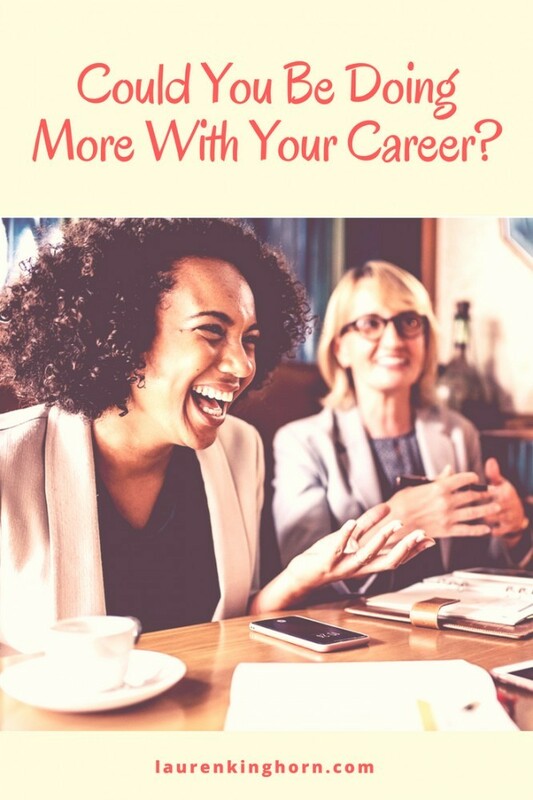 One of the of the biggest issues that a lot of people come up against when it comes to finding a career that they really want is the fact that it can be incredibly difficult to find something that you really enjoy. After all, not everyone is going to want to hire you for what you’re passionate about. This can be made even more difficult if you want more from a career than just a paycheck. 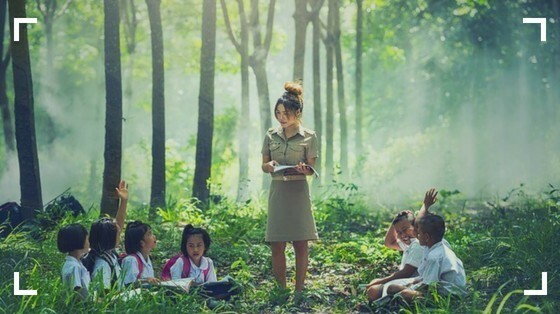 Trying to do something good with your time while earning a living is something that a lot of people would love to do but they might feel that there are no options out there. However, that’s simply not the case. Here are some career options for anyone who’s hoping to do some real good with their career. Education is one of those career paths that sadly can go underappreciated a lot of the time. However, the truth is that it’s one of the most important parts of any society. After all, being able to help young people learn and achieve their goals is one of the very best things that you can do with your time. Not only that but you don’t even have to be a teacher to work in education. Doing something like an online masters in school counselling can give you the skills and qualifications that you need to help kids outside of the classroom. Whatever role you’d want to take on, there are few things more fulfilling than working as an educator. Let’s face it, there are few things better than being able to spend your time literally saving people’s lives. Of course, a lot of people assume that to work in medicine then you’ve got to spend decades studying. And sure, if you want to become a doctor that is definitely true. However, there are plenty of roles in medicine outside of being a doctor that is just as important. From nurses to care workers to hospital administrators. After all, doctors couldn’t do the things they do on their own. It can sometimes feel as though there are so many issues all over the world that it’s impossible to know where to even start. It’s fortunate then that there are so many organisations all over the world that are dedicated to doing just that. Not only are a lot of nonprofit organisations out there looking for volunteers but many of them need people to come on board full time. There are few better feelings than being able to say you earn your crust by making the world just a little bit better. Of course, these are just a few examples. The reality is that there are plenty of ways that you can earn a living while also being able to both find something that you really enjoy as well as giving something back to the world around you. Hear, hear. I know first hand the deep fulfilment that comes with being part of something greater than yourself. What is the most meaningful career you’ve ever been involved in? Or is it time for a career change? I totally agree with every word. When it comes to choosing a career, too many people focus on the money. Sure, have a nice paying career is great but what is the point if you hate going to work everyday? It’s true that it can be very hard to change careers. There are a lot of things to consider before making such a drastic move but if it’s for something that you love and have a passion for, it will all be worth it in the end. Thank you Lauren! Pleasure Johel. Happy to hear this post resonated with you. Your post made me look back at my life. As I am 68 there are quite a few years to look at. All in all I am happy with the life I was allowed to live, it was filled with exciting things, different countries and learning languages. When I started working I went into the tourism sector as I like to talk to people and help them with making their holiday go smoothly and become their highlight of the year. I worked on cruise ships and in different countries and even if it was not always easy it was always interesting. Then I started on my Spanish farm which I build up from a ruin to be a gorgeous place over the years. My friends always say I live in paradise which is true. But this paradise was built with my sweat and tears and also all the money I earned. Now I have started on a new adventure, making 2 websites and writing posts. This is also exciting as now I can put my thoughts, some knowledge, and worries on a post in the hope it will interest and perhaps help the people who read it. Thank You for sharing some of your personal story. I am picturing the farm you built from ruins. How amazing to have accomplished that. I have huge respect for you as I can imagine how many years of planning and effort you must have invested to make that dream a reality. Wishing you every success in your online adventure. Although the closest I come to being a working mom is a retired stepfather who helped raise 3 wonderful kids (who are currently raising families of their own, this opportunity comes to me as a chance to see how a seasoned pro has put it all together. I appreciate your straightforward text and your clean layout. Without reading a word, it can be understood what your page is about. Helping others prosper. Thanks for your compliments Rod. Much appreciated.